This photo was provided by guide Eric Naguski along with the following comments, "I took this photo just upstream of Three Mile Island on the east shore of the Susquehanna River just below where the Swatara Creek enters. The Susquehanna is not an easy river to sample for bugs in my opinion. It is very large and pushes a lot of water. Especially in the spring when you would collect mature culacantha nymphs. And I don't believe that there are a ton of these Heptageniids around. Also the people who are doing most of the sampling like myself are doing so for water quality monitoring work so they only take the specimens down to genus-level taxonomy". 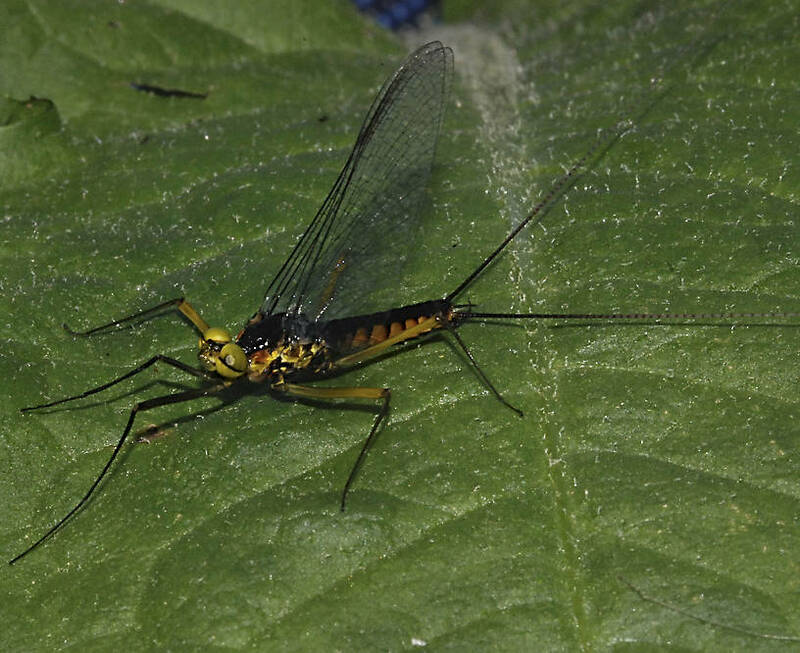 This mayfly was collected from the Susquehanna River on October 22nd, 2011 and added to Troutnut.com on February 10th, 2012.